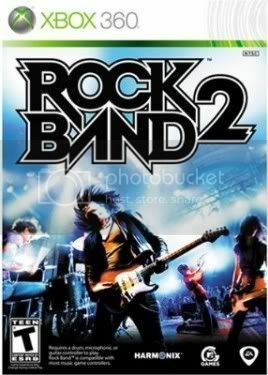 Right now when you buy Rock Band 2 for the Xbox 360 from Amazon, they’ll throw in a 1600 Live Points card. That means you can download another 10 songs in addition to the 84 songs that come with the game. That’s like having your cake and eating it, too. And then getting a free slice of delicious pie. You know… and then eating that. Anyway. It’s a lot of sweetness, and a pretty good deal for an awesome game that currently has a score of 93/100 on Metacritic. Plus! For today only, Amazon has knocked down the price of Guitar Hero: On Tour for the Nintendo DS from $47.99 to $29.99. My electronical abacus tells me that’s about 38% off! I forgot to tell you, I have this. Let me know if you ever want to play. Geek Steal: 56% off Firefly: The Complete Series on Blu-ray!